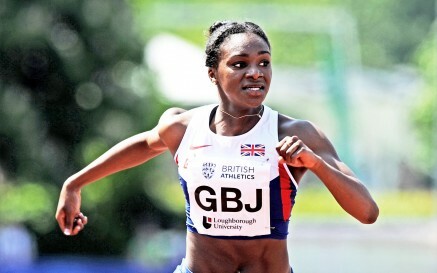 5th July 2014 – There was an incredible run from Dina Asher-Smith (GBR) in the 100m heats at the junior international in Mannheim. Bursting away from the rest of the field after just a few strides, Dina ran hard through the line to clock a new U20 National Record of 11.14 seconds with a +1.5 wind. This time also places Dina in the World Junior All-Time top 20 and current overall number 2 in Europe. Less than two hours later she almost repeated the trick in the final. Dina took the win in 11.03 seconds but unfortunately on this occasion the wind was just the wrong side of the legal limit at +2.2.